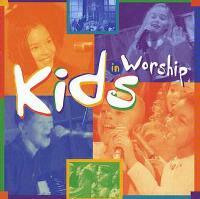 Here is a CD resource with songs Frank uses often when leading kids in worship! These easy-to-learn melodies were written with lyrics and concepts kids understand! May these help your children express genuine worship for who God is and praise for all He's done! Scroll down and click on the song titles below for LYRICS and more DETAILS. Selecting the 'Buy' button on that page will take you to 'Amazon.com' where these songs can be purchased!